Researchers at the Faculty of Science at Lund University in Sweden can now explain how the properties of the skin change depending on the environment. The new findings explain, among other things, why people don’t dehydrate in dry air. The research results can also be used in the cosmetic and pharmaceutical industry to make substances penetrate the skin more effectively. The PSI synchrotron radiation facility in Switzerland. To the left is the beamline that sends out the X-rays. The sample is attached to the small copper plate slightly to the right, and in the right-hand corner is the detector. The outer layer of skin can be described as a thin barrier — a kind of film that changes its properties and allows more or less water penetrate its surface, depending on whether the surrounding air is moist or dry. Chemists at the Faculty of Science in Lund have now successfully uncovered the underlying mechanism of how these barrier films control their properties. This is a general mechanism that explains on a molecular level how the skin regulates itself according to the environment but also to the properties of second barrier films, such as in paints, skin creams and food. “Our results are interesting in several ways; among other things, it increases our understanding of skin functions. The results are relevant for the development of, for instance, cosmetics and pharmaceutical preparations of which certain substances are intended to penetrate the skin,” says Professor Emma Sparr at the Department of Chemistry in Lund, who led the study together with Dr. Kevin Roger, who now works at the University of Toulouse. “A layer of skin cream can serve as an additional barrier that can open or close due to changes in humidity. The cream can also be designed so as to release its active substance better or worse, depending on whether the air is dry or humid,” says Emma Sparr. There are also applications in other areas in which it is important to control the transportation of molecules through a barrier. By changing the external conditions, it is possible to affect the barrier function to let through more or fewer molecules of a particular substance. Among other things, the study may become important when companies want to develop formulas that regulate how and what substances are released into the environment. 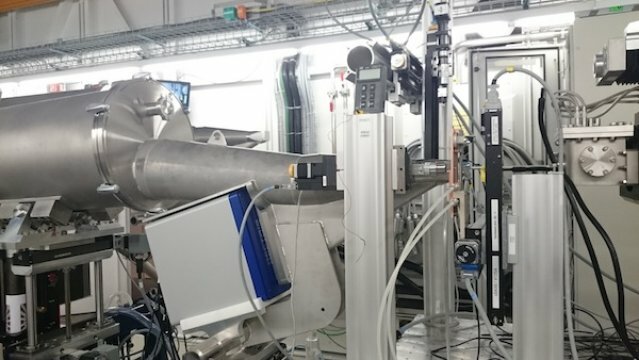 The results were achieved through experiments at the synchrotron radiation facilities in Lund and in Switzerland. At the Paul Scherrer Institute in Switzerland, the researchers conducted the most advanced experiments using a combination of X-ray and microscopy, and successfully examined changes in the nanostructure inside the barrier film. The results are published in an article in the scientific journal PNAS.